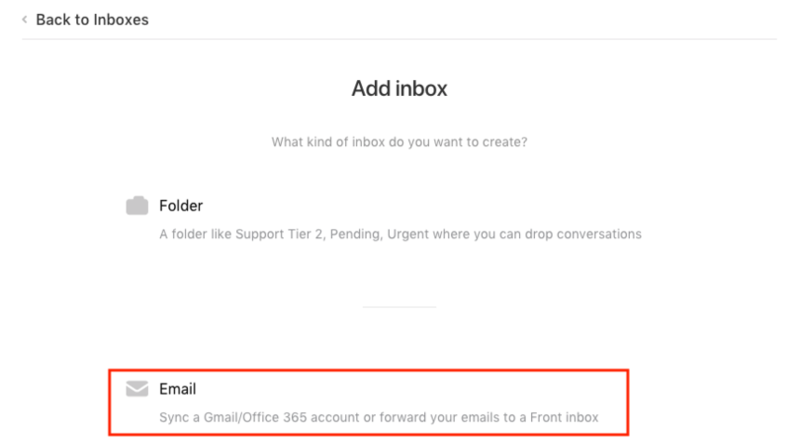 Front has a two-way sync with Office 365 (O365) inboxes, which means that conversation statuses will sync between the two, as well as all incoming and outgoing mail. Read on for the specifics of how the sync works. If you already have an SMTP setup for your Office 365 account, see this article on how to transition. 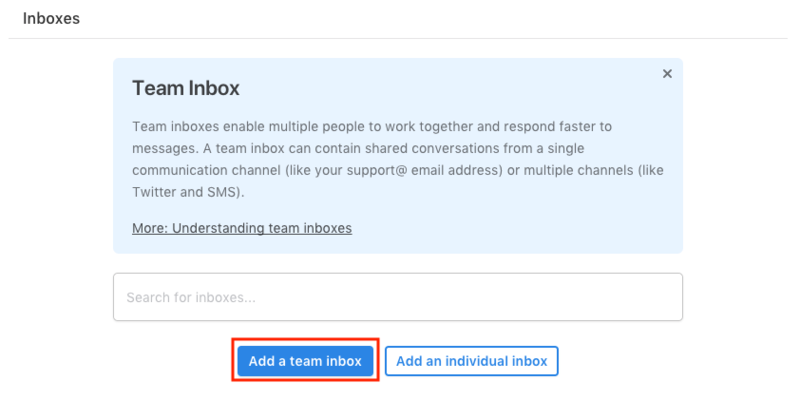 Click into Settings, then Inboxes, and click Add a team inbox. You will see a list of options for the type of channel you can create. Click Email. Type in your email address and click Next. You will be asked to chose between an Office 365 account or a Forwarding address setup. Click the Office 365 account / Office 365 shared mailbox. Troubleshooting: Sometimes Front cannot detect your Office 365 domain if you have certain security measures in place. If your screen does not show the above options and instead shows a forwarding setup, then go back to Step 3. This time, hold down the SHIFT key while clicking Next to trigger an Office 365 sync channel to be created. 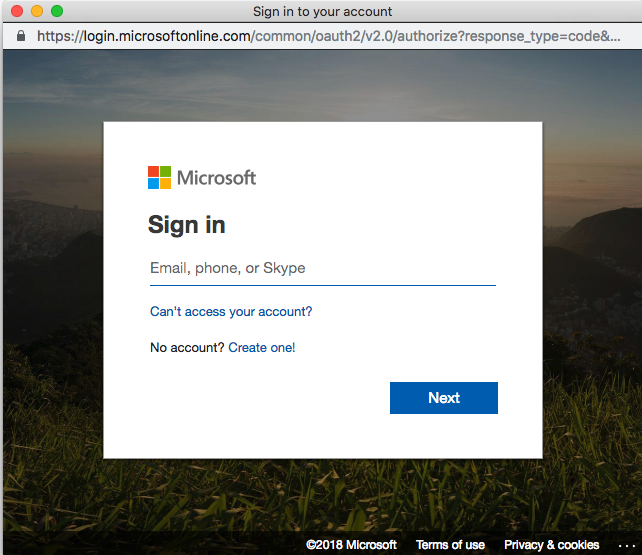 You will see a pop-up window to sign in to your Office 365 account. 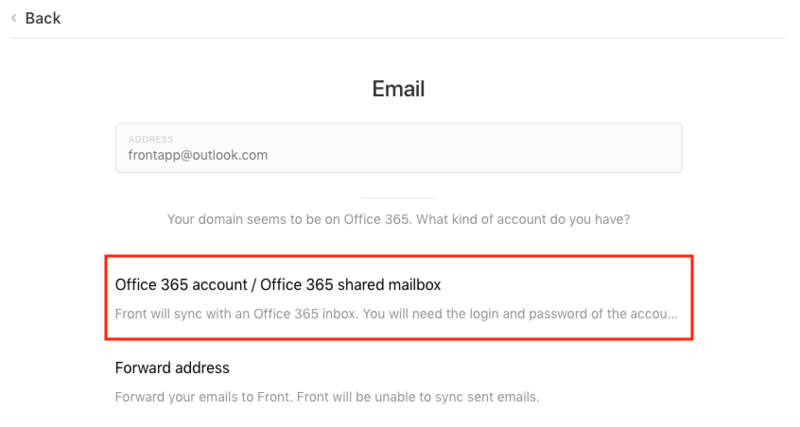 Note: if you are adding an Office 365 shared mailbox account, you must have access to that shared mailbox in Outlook. If you do not have access to it, the authentication will fail. 📍Important: The person who signs in and authenticates this inbox will have their account tied to this channel. If they change their password or their user account is deleted in Office 365, the channel will stop syncing. If that happens, an admin will need to go into the channel settings to re-authenticate the channel to bring it back online. You will see the Access screen to check off the teammates you'd like to give access to for this inbox. Once you've checked off their names, click Create inbox. You can now see the inbox with the new Office 365 channel in your Front dashboard. Now the actions you take in Front within this channel will sync back to your Office 365 account and vice versa. When you connect an Office 365 email account to Front, we will automatically import your most recent 1k messages. The default folders that need to exist in your Office 365 account, in order to successfully complete your sync, are: Inbox, Drafts, Sent Items, Deleted Items, Junk Email, and Archive. If you rename one of these folders or if a message is in a customized folder or part of a shared mailbox, Front will tag the conversation with the name of the folder when it syncs over. If you experience an error referencing missing required folders, please email us at support@frontapp.com. Office 365 does not support setting a different display name for the From address when sending an email. It uses the name set on your Office 365 account. The person who signs in and authenticates the inbox will have their account tied to this channel. If they change their password or their user account is deleted in Office 365, the channel will stop syncing. If that happens, an admin will need to go into the channel settings to re-authenticate the channel to bring it back online. After connecting to the "office365 account" does it take a while before it starts the syncing process? How long does it take? I see only new emails coming in directly, but it doesn't show me any email which came into the office365 account from before I connected it to Front. Joep Mutsaerts Hey! Your email history doesn't sync automatically, but we can run the import for you manually. Please send an email to team@frontapp.com and let us know what inbox you'd like to import from. I have synced my 365 mailbox with front. When I archive an email in front it disappears from my mailbox. Where does it go? Also I would love to be able to see and manipulate my inbox subfolders from front as well. Aaron Miller Hi Aaron, so sorry that we missed this comment when you first posted it. Feel free to email us at support@frontapp.com in the future if you have specific questions about your account. To answer your question, archived messages go in the "All" section of your inbox list. Currently you aren't able to edit your O365 folders from Front, as O365 is the "owner" of these folders so you have to make edits there.